If you have sustained economic losses related to Syngenta Viptera or Duracade corn you may be entitled to damages. We provide free no-obligation Syngenta Viptera corn lawsuit case review. We do not charge attorney fees unless you receive compensation and you are under no obligation after your initial consultation. Farmers, grain distributors, grain elevators, and corn exporters throughout the nation are filing Syngenta Viptera corn lawsuits to recover losses resulting from Syngenta’s promotion of Viptera corn seed. Viptera corn lawsuits that have already been filed allege that Syngenta, a global agribusiness, engaged in a marketing campaign which purposely misled farmers, urging them to use genetically modified Agrisure Viptera and Agrisure Duracade corn seed prior to the products’ approval for import by China. Viptera lawsuits assert that in choosing to bring Viptera corn seed to market prior to approval by China (a major importer of U.S. corn) Syngenta crippled the American corn market. Since November 2013, China has rejected entire shipments of corn that test positive for any trace of Viptera. As a result, domestic corn prices have fallen across the board and the U.S. has lost a significant export market. Furthermore, the entire U.S. corn supply has been contaminated by Viptera and Duracade, through cross-pollination in the fields and consolidation of corn crops in grain elevators. The presence of Viptera and Duracade corn has resulted in widespread market instability and a huge loss of revenue for the American corn industry. To date, plaintiffs in Syngenta GMO lawsuits are claiming $1.14 billion in losses in federal courts, and the National Grain and Feed Association (NGFA) estimates that farmers, distributors, and exporters may face as much as $3.4 billion in losses in the 2014-2015 season. A realistic fear has surfaced that the GMO trait in question, MIR 162, will surface in other crops. The economic effects of Syngenta’s actions will continue to harm American corn farmers, distributors, and exporters for years to come. Syngenta, a Swiss agribusiness that operates in 90 countries across the globe, reported annual sales of $14.7 billion during 2013. Syngenta allegedly invested 5-7 years and $200 million into developing the genetic modification known as MIR 162 that distinguishes Viptera and Duracade seeds. Aware that China had not yet approved GMO corn grown from seeds featuring MIR 162, Syngenta launched marketing campaigns designed to encourage farmers to plant Viptera seeds. Syngenta corn lawsuits assert that Syngenta willfully misrepresented the situation, implying that China was on the cusp of approving Viptera corn, when in fact that has never occurred. The entire corn industry, ranging from individual farmers to major exporters, has been harmed by the fallout from Viptera corn. Large agricultural companies such as Cargill, Trans Coastal Supply Co. and Bunge North America are already involved in Viptera corn lawsuits. Farms are filing Syngenta class action lawsuits, seeking to recover their losses and halt the production and marketing of Viptera MIR 162 corn seed. Major midwestern law firms with proven expertise in litigation against multinational conglomerates are now investigating claims against Syngenta. Attorneys handling Syngenta GMO lawsuits provide free case reviews to grain businesses who have sustained losses. Syngenta Viptera corn lawyers believe that farmers may be entitled to real compensation through a Syngenta class action lawsuit. 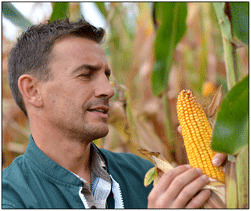 Agrisure Viptera corn is a genetically modified or GMO corn seed produced by Syngenta AG. Viptera features a genetically modified trait known as MIR 162 which provides protection against common corn pests including black cutworms and corn earworms. While MIR 162 has been approved in the United States, China does not accept Viptera corn. This page contains detailed information about Syngenta Viptera corn, why Viptera GMO corn has not been accepted by China, and the effects its introduction has had on the U.S. corn market. Syngenta is facing litigation from all angles, ranging from independent farmers to large grain exporters such as Cargill, Bunge and the Trans Coastal Supply Company. Syngenta GMO lawsuits assert that through misrepresentation and aggressive marketing, Syngenta has pushed Viptera and Duracade corn seed on American farmers and caused a destruction of the domestic corn market. 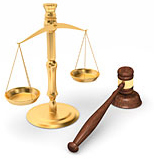 This page contains information on the history of GMO lawsuits as well as specific information about the major litigation Syngenta is facing from corn distributors nationwide. Farmers who have lost money as a result of Viptera corn are joining forces to file a large scale Syngentaawsuit. Whether a farmer grew Viptera corn or not, their harvest may have been contaminated, rejected, or sold at a lower price as a result of Syngenta’s actions. For farmers throughout the nation who have suffered economic losses as a result of Viptera corn seed, joining a Syngenta class action lawsuit is the most effective method to hold Syngenta accountable for the damage already caused and anticipated as a result of Viptera corn. A wide variety of entities have sustained economic losses as a result of Syngenta’s GMO corn, ranging from small scale farmers to large grain distributors. Through filing a Syngenta Viptera corn lawsuit, those harmed by Syngenta’s actions may recover losses and demand Viptera seed be discontinued. The Syngenta Viptera Lawsuit FAQ page provides answers to commonly asked questions regarding Syngenta Viptera lawsuits, including information about Syngenta lawsuit time limits and how to choose an attorney handling Syngenta corn claims. This page offers an overview of the legal services provided by our Viptera corn attorney team. Working on a contingency basis, Syngenta Viptera lawyers never charge legal fees unless they collect for you. Syngenta corn lawyers offer free case reviews for persons who believe they may have a GMO corn claim. When you contact the firm, an experienced Syngenta Viptera corn attorney will answer your questions as definitively as possible.